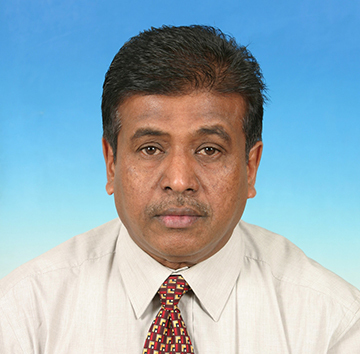 Dato' Aruldass Arulandu is the Managing Director of Tourland Travel Sdn Bhd, which was established in 1989. Licensed by the Ministry of Tourism, Tourland Travels is one of the leading inbound and outbound ticketing agencies in Malaysia. He has been involved in various travel trade associations and initiatives by the Tourism Malaysia. He was also the Vice President (Inbound) for the Malaysian Association of Tour & Travel Agents (MATTA). Dato' Aruldass was on the panel of judges for the Malaysia Tourism Award from year 2000 till 2017, and is currently the president of the Kuala Lumpur Tourist Association (KLTA), the Honorary Treasurer for PATA Malaysia Chapter, and Deputy President for the Malaysian Indian Tour & Travel Association (MITTA). Dato' Aruldass is the Executive Chairman of Ara Group of Companies that owns and manages two hotels; the Hotel Shangri-La Bandaran Kota Kinabalu in Sabah and the Regalpark Hotel Kuala Lumpur.